We are excited to invite you to ​view the 2017 CHARGE Proposals. 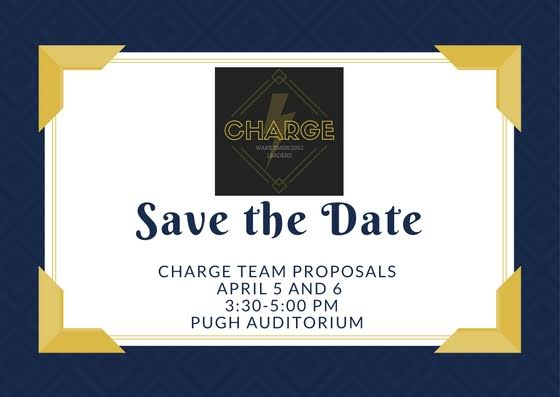 CHARGE is an emerging leaders program that runs for 10 weeks each spring. The students use the semester to create a proposal that will enhance the campus. These presentations are the final piece of their project. Please join us to view all of their hard work and dedication to their campus community.